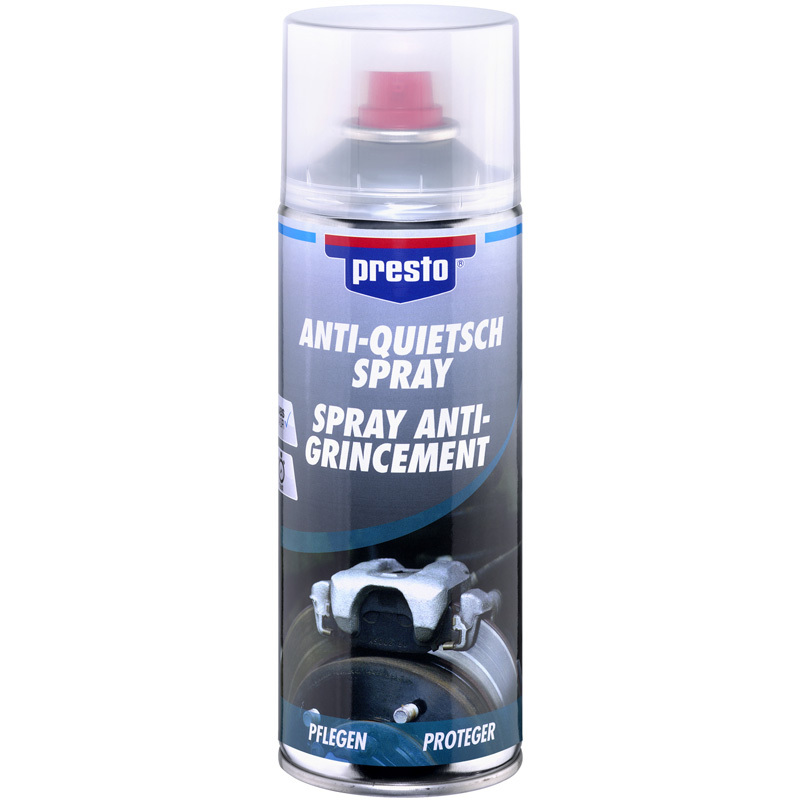 presto Anti-Squeaking Spray prevents annoying squeaking of brakes that occur between the brake caliper piston or bearing points and brake pad. 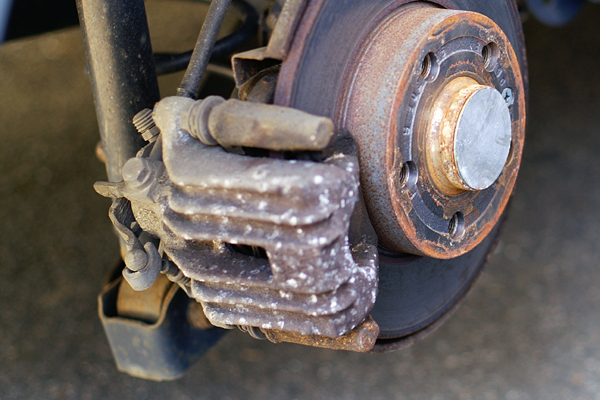 It safeguards the entire brake system and provides addition corrosion protections. 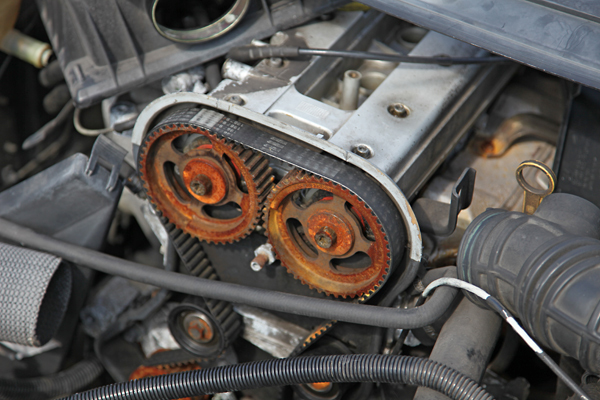 Metal-free, therefore suitable for lambda sondes. 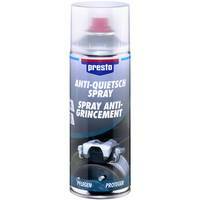 Suitable for ASR and ABS brake systems.